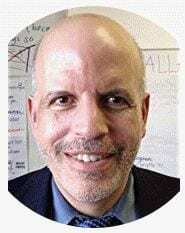 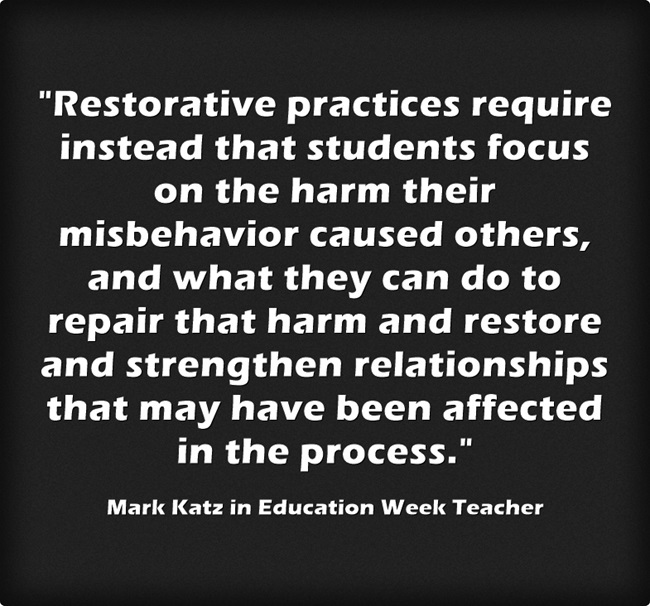 How to Practice Restorative Justice in Schools is the headline of my latest Education Week Teacher column. 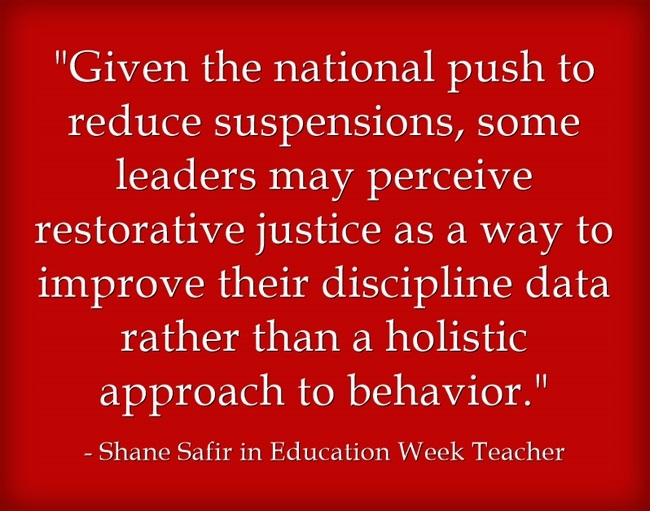 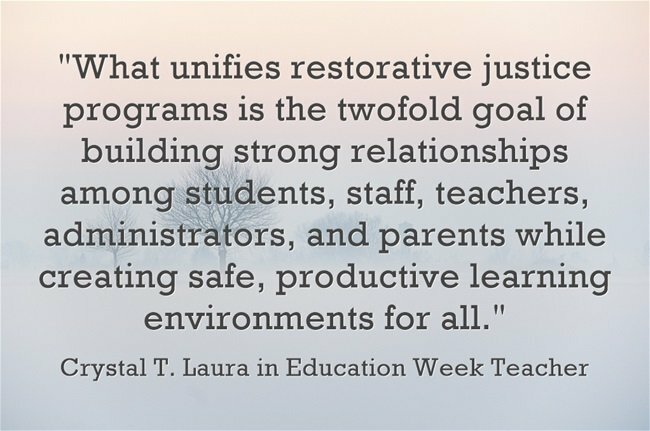 In it, Shane Safir, Jen Adkins, Timothy Hilton, Crystal T. Laura, and Mark Katz share their commentaries on applying restorative practices in schools. 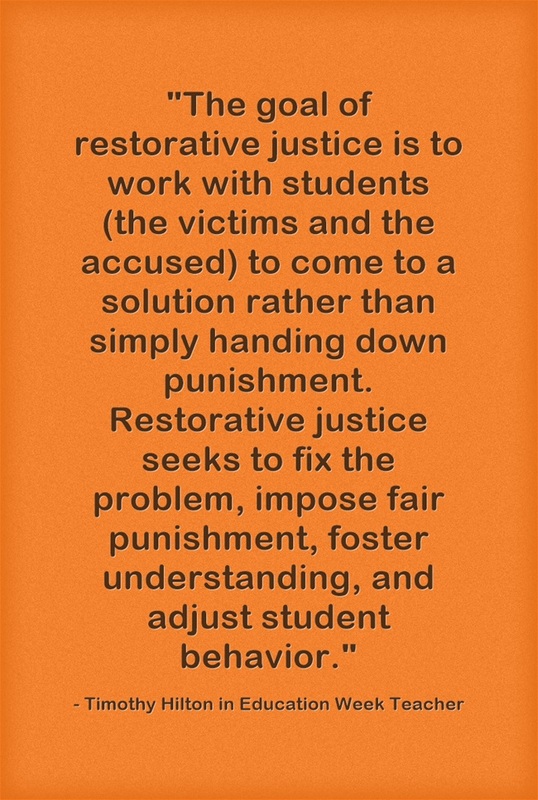 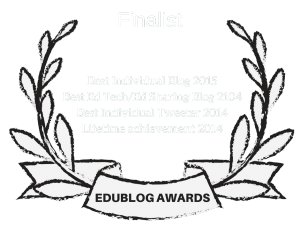 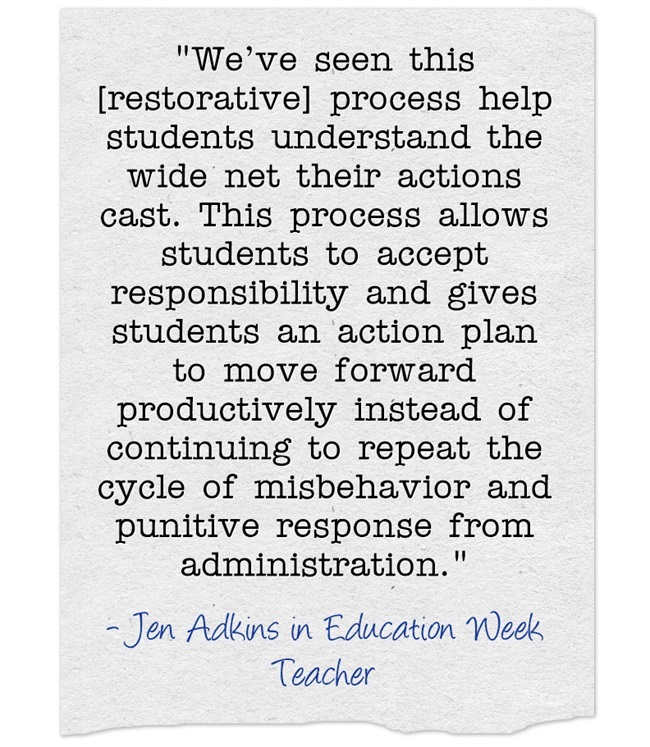 I’m adding the link to The Best Resources For Learning About Restorative Practices.